HAVE A SPORTS FAN? ?THIS IS YOUR INFLTABABLE! HAS A BASKETBALL NET BUILT INSIDE! Awesome for all ages and has enough bouncing room for 5-6 kids at a time! The Sports Arena is every athletic kids dream bouncer. 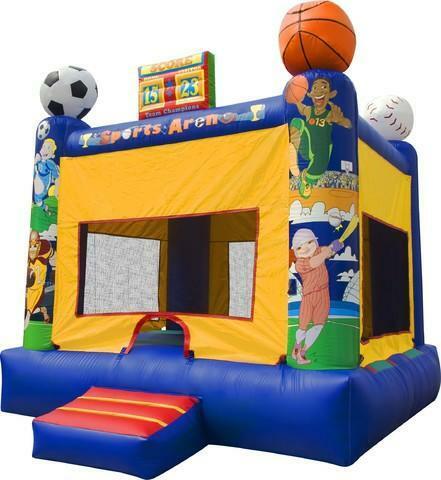 This bouncer takes your sport birthday party or special event to the next level.The Sports Arena includes designes with Basketball, Soccer, Football and baseball!